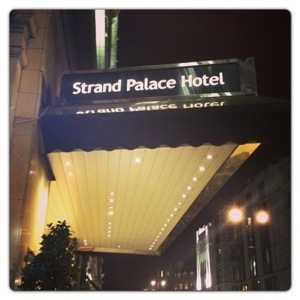 A couple of weeks ago, we had the opportunity to stay at the Strand Palace Hotel in London. The Strand Palace Hotel provides contemporary accommodation in the best location in London, in Covent Garden, within walking distance to theatres and restaurants. It was our first time staying at the hotel, so we were looking forward to seeing our room. 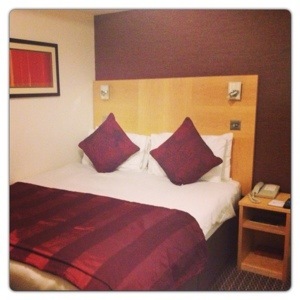 When we checked in, we were asked whether we wanted a room facing the Strand or Covent Garden. We chose Covent Garden as there would be less noise. We stayed at a Club room on the 5th floor and the room was beautiful and cosy. Club rooms offer a range of amenities such as plasma TVs with satellite channels, free Wi-Fi access, free access to the gym, in-room safes, voicemail and 24-hour room service. As we only stayed for one night, we didn’t have the chance to try the in-house purpose built gym. I really enjoy my hot beverages, so I was pleased to find tea and coffee facilities and complimentary mineral water in our room. As soon as we checked in, I had to put my feet up and make myself a cup of tea. I had to try the pillows as they looked very comfortable! 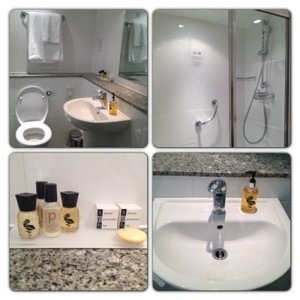 The en-suite bathroom was nice and clean, with a choice of luxury toiletries. I love staying at hotels so I can try their different toiletries. I can say those ones had a lovely smell. My only complaint is that there wasn’t a bath, only shower. I was looking forward to having a bubble bath, but I wasn’t able to. Instead I had a relaxing shower, which was lovely! When we woke up, we went downstairs for breakfast. There was a large selection on offer: Full English breakfast, pastries, fresh fruits, toast, cereals, juices, hot drinks and more. 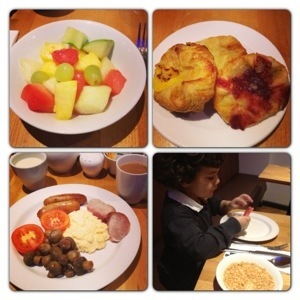 Breakfast was very tasty and the staff was friendly and came to our table a couple of times to refresh our drinks. Everything was going well with our stay and we were having a great time. However as we were on our way to check out at reception, little man had an accident. 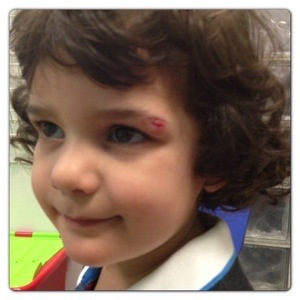 He fell down in the corridor and cut his eyebrow in the skirting board. The staff was very helpful. The receptionist quickly arranged for the First Aider to come and see him in a matter of minutes. Once we checked out, they arranged for a taxi to take us to the nearest hospital. Luckily little man was seeing quickly at the hospital and he didn’t need stitches, only glue on his cut. We made it on time to the theatre: The Snowman at Sadler’s Well, Peacock Theatre. It was the last day of the show, so if we missed it, we wouldn’t have another opportunity. So I am glad we managed to get there on time! 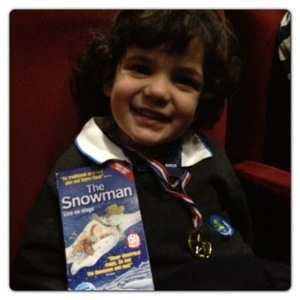 Little man was waiting for the show to start, he was proud of his medal and sticker for being such a brave boy at the hospital! The Snowman tells a story of when a young boy’s snowman comes to life on Christmas Eve, the two set off on a night-time quest for adventure. On their travels they meet dancing penguins, reindeer and naturally, Father Christmas. We watched spellbound as the Snowman flew through the night sky above us, before escaping the clutches of the evil Jack Frost to return home for Christmas morning. 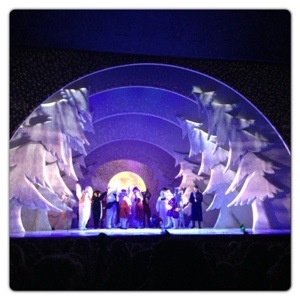 The Snowman was such a beautiful show, the whole family had a lovely time and enjoyed it. 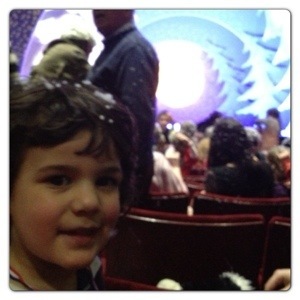 Little man especially loved when there was foam snow falling on everyone at the end of the show. It felt like Christmas! Thank you to the staff at the Strand Palace Hotel for making our stay so relaxing and enjoyable. The room was comfortable and breakfast was tasty. 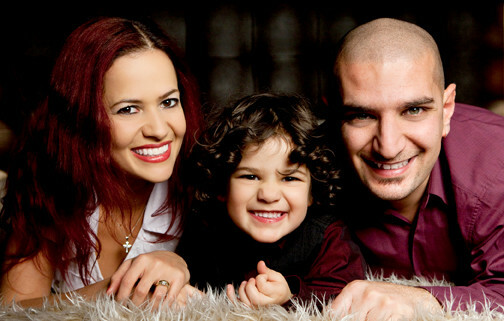 Thank you for looking after little man when he had his accident, we had a great time at the Snowman. We had a great stay and we hope to come back soon! I was under no obligation to write this post, just wanted to share our experience. The opinions expressed in this post are honest and my own. 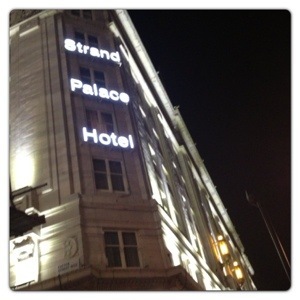 2 Responses to "Hotel & Theatre: Strand Palace Hotel and the Snowman"